Scar Treatment, Does It Work? Time may heal all wounds, but Life’s battle scars are often discolored, raised, itchy, stiff and painful. A skilled surgeon is the best prevention to unsightly permanent scaring after surgery. Precision in suturing and lack of stress at the incision sight ensures minimal scarring. But scars are a natural and essential part of the healing process; they stop bleeding and protect wounds from additional physical damage. They usually improve over time, but may long be unsightly, or itch intensely; they can even restrict one’s movement if located near a joint. There are multiple reasons for scaring, (surgery, burns, acne, etc. ), and multiple types of scars. Scar treatments range too, from plastic surgery, laser treatment, silicone sheeting, to onion extract. Pharmacy aisles are filled with “clinically proven, doctor-recommended” scar products, and on the Internet one finds anecdotes and vitamins to “erase old scars and prevent new ones from forming”. But what really works? Keeping the scar moist and covered is key. This job can be done with petroleum jelly or most of the much more expensive solutions. Vitamin E may cause skin irritation. Topical antibacterial creams or ointments can actually cause antibiotic resistance. Silicone does seem to do a better job of keeping the scar covered, and that prevents water from evaporating from the skin. Moisture allows the tissue to come in smoothly. When a normal wound heals, the body produces new collagen fibers at a rate balanced with the breakdown of old collagen. Scar tissue, unlike other skin, does not regenerate, so this is the time to get it right. A wound that dries out produces a lower pitted scar. Raised scars, (Hypertrophic), the result of overproduction of collagen, are red and thick and may be itchy or painful. They may continue to thicken for up to six months. Again, it is moisture that helps prevent this type of over production of collagen. 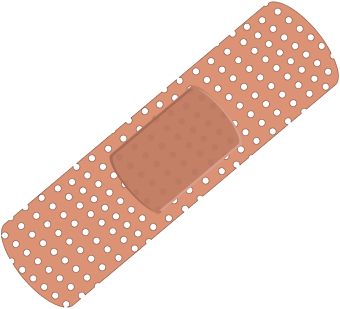 Whatever method you choose to aid in your recovery… Wait to begin your treatment, the wound must be completely healed (i.e., no raw open areas, oozing, or scabs). Most important, be patient and consistent, use as indicated, for periods also up to several months. Scars change over time, often becoming lighter in color and less obtrusive. Studies have found a 25 – 50 percent effective rate for over the counter treatments claiming to reduce the spread and darkening of scars. Surgical treatments, Collagen and steroid injections, as well as laser treatment may be further actions to discuss with your health care professional. Remember scars, like the grain of fine wood tells the story we have lived, often adding character and distinction.